TAHA, M ; OLIVEIRA, J. V. ; BORGES, M. D. ; GAULTIERE, F. G. ; MELO, F. L. ; AIDAR, A. L. S. ; PACHECO, R. L. ; KLAJNER, R. K. ; SILVA, T. M. A. ; IUAMOTO, L. R. ; TORRES, L. M. ; PAULA, B. J. M. M. ; CAMPOS, K. ; Oliveira Júnior, I.S. ; FAGUNDES, D. J.. L-Arginine Modulates Intestinal Inflammation in Rats Submitted to Mesenteric Ischemia-Reperfusion Injury. Transplantation Proceedings. v. Transplantation Proceedings, p. 512-515, 2016. CHAVES, J. C. ; SOMAIO NETO, FREDERICO ; Ikejeri AT ; BERTOLETTO, P. R. ; TERUYA, ROBERTO ; Simões, Ricardo ; SIMOES, R. S. ; TIKAZAWA, E. H. ; LIU, J. B. ; CARRARA, F. L. ; TAHA, M ; FAGUNDES, D. J.. Period of Hyperbaric Oxygen Delivery Leads to Different Degrees of Hepatic Ischemia/Reperfusion Injury in Rats. Transplantation Proceedings. v. Transplantation Proceedings, p. 512-520, 2016. Simoes RS ; SASSO, GISELA RODRIGUES DA SILVA ; FLORENCIO-SILVA, RINALDO ; Carbonel, Adriana Aparecida Ferraz ; BRUNO, L. O. ; TAHA, M. O.. Mecanismo molecular da isquemia/reperfusão e pré-condicionamento isquêmico. RBM. Revista Brasileira de Medicina (Rio de Janeiro). v. RBM. Revista Brasileira de Medicina (Rio de Janeiro), p. 414-418, 2015. IKEJIRI, ADAUTO TSUTOMU ; Somaio Neto F ; CHAVES, JOSÉ CARLOS ; BERTOLETTO, Paulo Roberto ; TAHA, Murched Omar ; FAGUNDES, D. J.. Gene expression profile of oxidative stress in the lung of inbred mice after intestinal ischemia/reperfusion injury. Acta Cirúrgica Brasileira (Online). v. Acta Cirúrgica Brasileira (Online), p. 186-192, 2014. ROSSELLI, J. E. G. C. ; MARTINS, Dulce Maria Fonseca Soares ; MARTINS J L ; OLIVEIRA, C. R. G. C. M. ; FAGUNDES, Djalma José ; Murched Omar Taha. The effect of simvastatin on the regeneration of surgical cavities in the femurs of rabbits.. Acta Cirúrgica Brasileira (Impresso). v. Acta Cirúrgica Brasileira (Impresso), p. 87-92-92, 2014. MORAES, M. S. ; COSTA, P. S. ; BATISTA, W. L. ; PASCHOALIN, T. ; CURCIO, M. F. ; BORGES, R. E. ; FONSECA, F. V. ; TAHA, M. O. ; STERN, A. ; MONTEIRO, H. P.. Endothelium-derived nitric oxide (NO) activites the NO-epidermal growth factor receptor-mediated signaling patthway in bradykinin-stimulated angiogenesis. Archives of Biochemistry and Biophysics (Print). v. Archives of Biochemistry and Biophysics (Print), p. 14-27, 2014. RODRIGUES, R. ; REZENDE, M. ; GOMES, G. ; SOUZA, F. ; BLAGITZ, M. ; LIBERA, A. D. ; Taha, Murched Omar ; FERRARI, A. ; LIBERA JR, E. D.. Effect of transgastric peritonial access on peritonial innate cellular immunity:experimental study in swune. Surgical Endoscopy and Other Interventional Techniques (Print). v. Surgical Endoscopy and Other Interventional Techniques (Print), p. 964-970, 2013. Gomes, JSM ; Miranda RF ; TAHA, N. S. A. ; Rodrigues, LW ; Bento DRG ; Fernandes DT ; Chihara RT ; SIMÕES, Manuel de Jesus ; Oliveira Junior I ; Monteiro HP ; FAGUNDES, Djalma José ; Caricati Neto A ; TAHA, M. O.. Study of L-Arginine in lesions caused by ischemia-reperfusion in rats intestine. Transplantation Proceedings. v. Transplantation Proceedings, p. 2309-2312, 2012. Campos, VF ; Miranda RF ; TAHA, N. S. A. ; Teixeira GD ; SOUZA, W. T. I. ; Carmo CEF ; Silva Neto LA ; Gomes IT ; Monteiro HP ; MONTERO, E. F. ; FAGUNDES, Djalma José ; Caricati Neto A ; TAHA, M. O.. Atenolol in the role of intestinal ischemia and reperfusion in rats.. Transplantation Proceedings. v. Transplantation Proceedings, p. 2313-2316, 2012. RODRIGUES, R. ; REZENDE, M. ; GOMES, G. ; SOUZA, F. ; BLAGITZ, M. ; LIBERA, A. D. ; Taha, Murched Omar ; FERRARI, A. ; LIBERA, E. D.. Effect of transgastric peritoneal access on the peritoneal innate cellular immunity: experimental study in swines.. Surgical Endoscopy and Other Interventional Techniques (Print). v. Surgical Endoscopy and Other Interventional Techniques (Print), p. 2541-2548, 2012. TAHA, M. O.; Fagundes, D.J. ; MIRANDA, F. R. ; MONTEIRO, HUGO PEQUENO ; CARICATI-NETO, A.. Ischemic Preconditioning and the Gene Expression of Endothelial Cell Biology in Intestine of Rats Submitted to Intestinal Ischemia and Reperfusion. Transplantation. v. Transplantation, p. 736, 2012. Togni F ; Baras F ; TAHA, M. O.. Histomorphometric analysis of bone tissue repair in rabbits after insertion of titanium screws under different torque.. Acta Cirurgica Brasileira (Impresso). v. Acta Cirurgica Brasileira (Impresso), p. 261-266, 2011. SORGUI, C. E. ; FAGUNDES, Djalma José ; SIMÕES, Manuel de Jesus ; TAHA, M. O.. Use of Corticocancellous Allogeneic Bone Blocks Impregnated with Bone Marrow Aspirate: a tomographic and histomorphometric study. General Dentistry. v. General Dentistry, p. 200-2005, 2011. MARQUI, C. ; SILVA, H. C. A. ; Ferez D ; Cavassani SS ; Moraes JB ; Silva DAM ; Simões RS ; Lopes CA ; TAHA, M. O. ; Oliveira Junior I. Pretreatment with pentoxifylline atteuates lung injury induced by intestinal ischemia/reperfusion in rats. Acta Cirurgica Brasileira (Impresso). v. Acta Cirurgica Brasileira (Impresso), p. 438-444, 2011. TAHA, M. O.; Miranda RF ; Simões R.S ; Abrão MS ; Oliveira Junior I ; Monteiro HP ; Santos JM ; Rodrigues PH ; Rodrigues JV ; Alves AE ; Nascimento EC ; Silva TL ; Zeviani WM ; Caricati Neto A. Role of adenosine on intestinal ischemia-reperfusion injury rabbits. Transplantation Proceedings. v. Transplantation Proceedings, p. 454-456, 2010. TAHA, M. O.; Miranda RF ; Simões RS ; Oliveira Junior I ; Modaelli-Filho ML ; Magualhães-Junior WF ; Souza ES ; Lemos JA ; Simões MC ; Caricati Neto A. Intestinal ischemia-reperfusion is attenuated by treatment with atenolol in rabbits. Transplantation Proceedings. v. Transplantation Proceedings, p. 451-453, 2010. TAHA, M. O.; Miranda RF ; Paez RP ; Simões RS ; fagundes A.L ; Boin HC ; Martins IA ; Versage PF ; Silva HF ; Penzo LD ; Oliveira Junior I ; Caricati Neto A ; Monteiro HP. Role of L-arginine, a substrate of nitric oxide biosynthesis, on intestinal ischemia-reperfusion in rabbits. Transplantation Proceedings. v. Transplantation Proceedings, p. 448-450, 2010. TAHA, M. O.; SIMÕES, Manuel de Jesus ; Noguerol EC ; Mendonça, FP ; PASCHOALICK, H. ; Alves, RAM ; Vivian, MEM ; Moraes, FP ; Campos, ACA ; Magalhães, KG ; Venerando,PS ; Tersariol, ILS ; Monteiro HP ; Oliveira Junior I ; JURKIEVICZ, Aron ; Caricati Neto A. Effects of Allopurinol on Ischemia and Reperfusion in Liver Rabbit. TRANSPLANTATION PROCEEDINGS. v. TRANSPLANTATION PROCEEDINGS, p. 820-823, 2009. TAHA, M. O.; SIMÕES, Manuel de Jesus ; MENDONCA, M. V. ; Lugo FRC ; Carmo Filho R ; Lazarine Junior JL ; Bessa MZ ; MARCONI, T. D. ; Magalhães, KG ; Magalhães KG ; Magalhães KG ; SOARES, José Homero ; TERSARIOL, I. ; Monteiro HP ; Oliveira Junior I ; JURCKIEVICS, Aron ; Caricati Neto A. Role of Purines on Hepatic Ischemia-Reperfusion Lesions in Rabbits. Transplantation Proceedings. v. Transplantation Proceedings, p. 807-811, 2009. TAHA, M. O.; GONCALVES, P.F.Z.R.A ; VIDIGAL, João ; Sacchi, GPS ; Pinheiros, FG ; Brandão LS ; FEGURE, S. ; Morães-Filho A.M ; Ghadie, MM ; Magalhães KG ; SIMÕES, Manuel de Jesus ; Tersariol, ILS ; Monteiro HP ; Oliveira Junior I ; JURKIEVICZ, Aron ; Caricati Neto A. Protective Effects of Heparin Ischemia and Reperfusion Lesions in Rabbits. Transplantation Proceedings. v. Transplantation Proceedings, p. 812-815, 2009. TAHA, M. O.; SIMÕES, Manuel de Jesus ; Hadad, MA ; CAPELATO, R. C. ; BUDNY, N. ; Matsumoto A.H ; Soares, PCM ; SANTOS,WM ; Armeato, GD ; Araki, CM ; Gomes, JSM ; Magalhães KG ; TERSARIOL, I. ; Monteiro HP ; Oliveira Junior I ; JURCKIEVICS, Aron ; Caricati Neto A. L-Arginine Supplementation Protects Against Hepatic Ischemia-Reperfusion Lesions in Rabbits. Transplantation Proceedings. v. Transplantation Proceedings, p. 816-819, 2009. Chaves J.C ; FAGUNDES, Djalma José ; SIMÕES, Manuel de Jesus ; BERTOLETTO, Paulo Roberto ; Oshima CT ; TAHA, M. O. ; Simões R.S ; fagundes A.L. Hiperbaric Oxygen Therapy Protects the Liver Apostosis Causad by Ischemia-Reperfusion Injury in Rats. Microsurgery. v. Microsurgery, p. 123-128, 2009. Silva W. ; FAGUNDES, Djalma José ; Seidell AC. ; TAHA, M. O.. Animal model of chronic abdominal hernia in rabbit. Acta Cirúrgica Brasileira. v. Acta Cirúrgica Brasileira, p. 256-261, 2009. GUIMARAES, Fernando Augusto ; TAHA, M. O. ; FAGUNDES, Djalma José. A preservação do intestino delgado para transplante: a contribuição da oxigenação hiperbárica. ABCD. Arquivos Brasileiros de Cirurgia Digestiva. v. ABCD. Arquivos Brasileiros de Cirurgia Digestiva, p. 85-89-89, 2008. GUIMARÃES, Fernando Augusto Garcia ; TAHA, M. O. ; SIMÕES, Manuel de Jesus ; MOINO, C A A ; SANTOS, I V ; AMADOR, J C ; SANTOS, R A ; QUEIROZ, R B ; AMARO, R R ; JESUS, M A S ; CARICATI NETO, Afonsco. The use of the hyperbaric oxygenation in small bowel preservation for transplant. Transplantation Proceedings. v. Transplantation Proceedings (in press) , 2006. GUIMARÃES, Fernando Augusto Garcia ; TAHA, M. O. ; SIMÕES, Manuel de Jesus ; MOINO, C A A ; SANTOS, I V ; AMADOR, J C ; SANTOS, R A ; QUEIROZ, R B ; AMARO, R R ; JESUS, M A S. A novel system for organ and tissues preservation: the refrigerating hyperbaric chamber. Transplantation Proceedings. v. Transplantation Proceedings (in press) , p. 1879-1882, 2006. GUIMARAES, Fernando Augusto ; TAHA, M. O. ; SSIMÕES, Manoel de Jesus ; MOINO, C A A ; SANTOS, I V ; AMADOR, J C ; SANTOS, R A ; QUEIROZ, R B ; AMARO, R R ; JESUS, M A S. The apoptosis and nuclear proliferation in rat small bowel submitted to hypothermic hyperbaric oxygenation for preservation. Transplantation Proceedings. v. Transplantation Proceedings (in press) , p. 1876-1878, 2006. TAHA, M. O.; FRAGA, Melissa M ; GUIMARÃES, Fernando Augusto Garcia ; JURKIEVICZ, Aron ; CARICATI NETO, Afonsco. Autonomic dysfunction of rat jejunum submitted to cold ischemic preservation is prevented by heparin. Transplantation Proceedings. v. Transplantation Proceedings (in press) , p. 1779-1710, 2006. TAHA, M. O. Atenolol attenuates autonomic dysfunction of rat jejunum submitted to cold ischemic preservation is preventtion. Transplantation Proceedings. v. Transplantation Proceedings (in press) , p. 1784-1788, 2006. BASTOS, Eduardo Lemos de Souza ; TAHA, M. O. ; FAGUNDES, Djalma José ; NOVO, Neil Ferreira ; SIMÕES, Manuel de Jesus ; SILVARADO, R A. The role of preserved bovine peritoneum in rats ventral hernia. A histological evaluation. Acta Cirúrgica Brasileira. v. Acta Cirúrgica Brasileira (in press) , p. 328-331, 2006. TAHA, M. O.; LAUZ, Suzi ; MONTERO, Edna Frasson de Souza ; GOMES, Lf ; JUNQUEIRA, V ; SIMÕES, Manuel de Jesus. Avaliaçao da lesão isquêmica normotérmica do fígado: papel da oclusão do ducto biliar principal e a modulação pela N-acetilcistejna. Revista do Colégio Brasileiro de Cirurgiões. v. Revista do Colégio Brasileiro de Cirurgiões (4) , p. 168-172, 2005. FEITOSA, Eliane de Alencar ; TAHA, M. O. ; TAKYIA, C M ; FAGUNDES, Djalma José ; CARDOSO, L C ; CAMPOS, D M. Estudo da Morfologia Renal, após a oclusão da aorta abdominal infra - renal em ratos. Revista do Colégio Brasileiro de Cirurgiões. v. Revista do Colégio Brasileiro de Cirurgiões (4) , p. 178-182, 2005. BOTTER, Flávia Coelho de Souza ; TAHA, M. O. ; FAGUNDES, Djalma José ; GOMES, Paulo de Oliveira ; NOVO, N. F. ; JULIANO, Yara. Estudo do intestino delgado isquêmico, após a reperfusão sob condições de oxigenação, em ratos. Revista do Colégio Brasileiro de Cirurgiões (Impresso). v. Revista do Colégio Brasileiro de Cirurgiões (Impresso), p. 261-266, 2005. TAHA, M. O.; MULLER, Susana Fabíola ; ROSSETO, Marcelo ; FAGUNDES, Djalma José ; JULIANO, Yara ; CARICATI NETO, Afonsco. Morfological analysis of the sciatic nerves repaired with fibrin glue. Transplantation Proceedings. v. Transplantation Proceedings, p. 401-403, 2004. TAHA, M. O.; ROBEIRO, Eliana B ; SARDINHA, Fatima L C ; FAGUNDES, Djalma José ; CARICATI NETO, Afonsco. Interposition of a distal colon seegment following 80% jejunum-ileal resection: evaluation of glucose absorption in rats. Transplantation Proceedings. v. Transplantation Proceedings, p. 370-372, 2004. TAHA, M. O.; FRAGA, Melissa M ; FAGUNDES, Djalma José ; JURKIEVICZ, Aron ; CARICATI NETO, Afonsco. Effect of allopurinol on autonomic dysfunction of rats jejune segments to cold ischemic preservation for transplant. Transplantation Proceedings. v. Transplantation Proceedings, p. 293-295, 2004. TAHA, M. O.; FRAGA, Melissa M ; FAGUNDES, Djalma José ; JURCKIEVICS, Aron ; CARICATI NETO, Afonsco. Ascorbic acid prevents autonomic dysfunction of rats jejune submitted to cold ischemic preservation for transplant. Transplantation Proceedings. v. Transplantation Proceedings, p. 289-292, 2004. GUIMARAES, Fernando Augusto ; TAHA, M. O. ; FAGUNDES, Djalma José. Small bowel preservation: the contribution of the hyperbaric oxygenation. Undersea & Hyperbaric Medicine. v. Undersea & Hyperbaric Medicine, p. 1006-1010, 2004. GORLA JUNIOR, J. A. ; FAGUNDES, Djalma José ; TAHA, M. O. ; ZAIA, C. T. B. V.. Marcadores de reegeneração hepática. Revista IATROS. v. Revista IATROS, p. 190-199, 2004. SILVA, Fatima Pereira da ; FAGUNDES, Djalma José ; TAHA, M. O.. A reparação de lesões padronizadas de baço com cianoacrilato e poliglecaprone, em ratos.. Revista IATROS. v. Revista IATROS (1/2) , p. 111-115, 2003. SIQUEIRA, Venilton José ; BERNES, W O ; BERGAMO, G C ; TAHA, M. O. ; FAGUNDES, Djalma José. Narcose pela mistura de hidrato de cloral e sulfato de magnésio, seguida da indução e manutenção da anestesia inalatória, sob ventilação expontânea em bovinos. A Hora Veterinária. v. A Hora Veterinária, p. 49-52, 2003. RIVOIRE, HC ; FAGUNDES, D. J. ; TAHA, M. O. ; NOVO, N. F. ; JULIANO, Y.. Esterilização Tubária com Adesivo Cirúrgico Sintético: Estudo Experimental. Revista do Colégio Brasileiro de Cirurgiões. v. Revista do Colégio Brasileiro de Cirurgiões (5) , p. 337-343, 2003. GORLA JUNIOR, Antonio ; FAGUNDES, Djalma José ; TAHA, M. O. ; ZAIA, C T V B. Marcadores de regeneração hepática. Revista IATROS. v. Revista IATROS (3/4) , p. 190-199, 2003. MULLER, Susana Fabíola ; TAHA, M. O. ; FAGUNDES, Djalma José ; JULIANO, Yara. Estudo morfológico da regeneração axonial na síntese terminolateral de nervo periférico de ratos com adesivo de fibrina e micro-sutura. Arquivos Catarinenses de Medicina (Impresso). v. Arquivos Catarinenses de Medicina (Impresso), p. 16-20, 2003. HIVOIRE, Henri C ; TAHA, M. O. ; FAGUNDES, Djalma José. Adesivos cirúrgicos. Revisão e atualização. Jornal Brasileiro de Medicina. v. Jornal Brasileiro de Medicina (3) , p. 101-103, 2002. VARGAS, Kleber Soline M ; FAGUNDES, Djalma José ; TAHA, M. O.. Modelo de trauma em medula espinhal em coelhos. Revista IATROS. v. Revista IATROS (2/4) , p. 165-172, 2002. 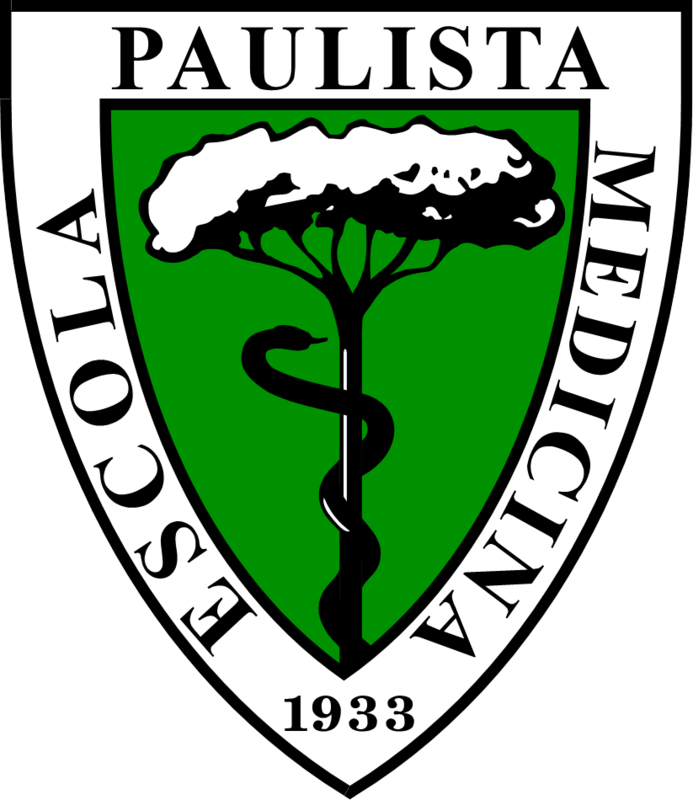 GUIDUGLI, Ruggero B F ; FAGUNDES, Djalma José ; TAHA, M. O.. Pulmões de peritonite polimicrobiana. Anais da Faculdade de Medicina da Universidade Federal de Pernambuco. v. Anais da Faculdade de Medicina da Universidade Federal de Pernambuco (1) , p. 33-38, 2002. GUIMARÃES, Fernando Augusto ; TAHA, M. O. ; SIMÕES, Manuel de Jesus ; FAGUNDES, Djalma José. Ischemia - reperfusion of the small intestine and hyperbaric oxigen treatment: morfhologic study in rats.. Transplantation Proceedings. v. Transplantation Proceedings, p. 977-979, 2002. TAHA, M. O.; FRAGA, Melissa M ; FAGUNDES, Djalma José ; BANDEIRA, Cesar Orlando Peralta ; CARICATI NETO, Afonsco ; JURCKIEVICS, Aron. Effect of preservation conditions on autonomic transmission in rat small bowel.. Transplantation Proceedings. v. Transplantation Proceedings, p. 1021-1024, 2002. BRANDÃO, Sandra Crippa ; TAHA, M. O. ; FAGUNDES, Djalma José ; SOUCCAR, Caden ; LAPA, Antônio José. Alpha Tocopherol in the hypotermic preservation of the rat smal bowel: A functional study. Transplantation Proceedings. v. Transplantation Proceedings, p. 1092-1094, 2002. ROSSETO, Marcelo ; FAGUNDES, Djalma José ; TAHA, M. O. ; SOUZA, Heitor Soares de ; AYDOS, R. D. ; GUIMARÃES, R. B. ; NOVO, Neil Ferreira ; JULIANO, Yara. Regeneração de nervo periférico após anastomose término-lateral, com manutenção do epineuro, em ratos .. Acta Cirúrgica Brasileira. v. Acta Cirúrgica Brasileira (3) , p. 155-159, 2001. SAKIHAMA, A. K. ; FAGUNDES, Djalma José ; TAHA, M. O. ; NOVO, N. F. ; JULIANO, Yara ; INOUYE, Celso Massaschi ; PEREIRA, F. A.. Correlação entre os aspectos ultra-sonográficos e morfológicos da cicatrização de uma lesão muscular em coelhos .. Acta Cirúrgica Brasileira. v. Acta Cirúrgica Brasileira (3) , p. 160-168, 2001. GORLA JUNIOR, J. A. ; FAGUNDES, Djalma José ; PARRA, O. M. ; ZAIA, C. T. B. V. ; BANDEIRA, Cesar Orlando Peralta ; TAHA, M. O.. Fatores hepatotróficos e regeneração hepática. Parte I: o papel dos hormônios .. Acta Cirúrgica Brasileira. v. Acta Cirúrgica Brasileira (3) , p. 179-184, 2001. BANDEIRA, Cesar Orlando Peralta ; TAHA, M. O. ; STEFFENS, Vania A ; SOUZA, R ; SHIOZAKI, A A ; BATAGIN, J P ; SOUZA, V B. Pneumectomia utilizando sutura em bloco do hilo pulmonar por grampeador linear em cães. Acta Scientiarum (UEM). v. Acta Scientiarum (UEM) (3) , p. 671-674, 2001. GORLA JUNIOR, José Antônio ; FAGUNDES, Djalma José ; ZAIA, C T V B ; BANDEIRA, Cesar Orlando Peralta ; TAHA, M. O.. Fatores hepatotróficos e regeneração hepática. Parte II: fatores de crescimento .. Acta Cirúrgica Brasileira. v. Acta Cirúrgica Brasileira (4) , p. 261-266, 2001. SILVA, A. M. ; TAHA, M. O. ; FAGUNDES, Djalma José ; NOVO, N. F.. Aspectos morfológicos da bulia tympanica de cãos após osteotomia restrita ventral e lateral em coelhos. Acta Cirurgica Brasileira (Impresso). v. Acta Cirurgica Brasileira (Impresso), p. 243-250, 2001. SANTIAGO, S. ; TAHA, M. O. ; FAGUNDES, Djalma José. Esclerose de pequenos vasos com corrente elétrica ponteada em orelha de coelhos. Acta Cirurgica Brasileira (Impresso). v. Acta Cirurgica Brasileira (Impresso), p. 238-242, 2001. TAHA, M. O.; RIBEIRO JR, M. ; PIVA, A. M. ; GUALBERTO, E. F. ; MONTERO, Edna Frasson de Souza ; NIGRO, A. J. T. ; SOUCAR, C. ; LAPA, A. J.. Intestinal Cold Preservation in EC solution With N2-Mercapto-Propionil Glycine (N2-MPG). Organs, Tissues and Cells. v. Organs, Tissues and Cells (2) , p. 111-113, 2000. TAHA, M. O.; RIBEIRO JR, M. ; NIGRO, A. J. T. ; MONTERO, E. F.. Histopatolhogic Changes in rat small intestine during storage in U.W or celsior solution or Without a 21 aminosteroid(u74389) after 12, 18, and 24 hours. Transplation Procedding. v. Transplation Procedding, 2000. MONTERO, Edna Frasson de Souza ; CASTRO, L. ; BARBIERE, C. ; TAHA, M. O. ; NIGRO, A. J. T.. Inhibtion of mouse and rat lymphoproliferation by gangliosides. Acta Cirúrgica Brasileira. v. Acta Cirúrgica Brasileira, p. 7-9, 2000. RAMOS, E. C. F. ; RAMOS, D. ; RAMOS, E. F. C. ; BAZZANO, F. F. C. O. ; NASCIMENTO, L. R. ; RODRIGUES, A. C. ; TAHA, M. O. ; NIGRO, A. J. T.. Estudo da transmigração bacteriana na apendicite experimental em coelhos. Acta Cirurgica Brasileira (Impresso). v. Acta Cirurgica Brasileira (Impresso), p. 24-27, 2000. LAUZ, Suzi ; NIGRO, A. J. T. ; TAHA, M. O.. Estudo da preservação do fígado utilizando-se um antioxidante: N-acetilcisteína. Acta Cirurgica Brasileira (Impresso). v. Acta Cirurgica Brasileira (Impresso), p. 43-48, 2000. TAHA, M. O.; RIBEIRO JR, M. A. ; GUALBERTO, E. ; PIVA, A. M.. Efeito protetor do N2-Mercaptopropionilglicina, na preservação hipotérmica do fígado.. Revista do Colégio Brasileiro de Cirurgiões. v. Revista do Colégio Brasileiro de Cirurgiões, p. 46-50, 1999. TAHA, M. O.; SAKIHAMA, A. K. ; FAGUNDES, Djalma José ; NOVO, Neil F ; INOUYE, C. M. ; PEREIRA, F. A.. Correlação entre os aspectos ultra-sonográficos e morfológicos da cicatrização de uma lesão muscular em coelhos. Acta Cirurgica Brasileira (Impresso). v. Acta Cirurgica Brasileira (Impresso) (suplemento) , p. 23-27, 1999. TAHA, M. O.; KOH, I. ; FERREIRA, R. ; SMAIL, S. ; JURCKIEVICS, Aron. Use of a funcional pharmacological monitor on small bowel preservation.. Transplantation Proceedings. v. Transplantation Proceedings, p. 1489-1490, 1994. KOH, I. H. J. ou Ivan HJK ou Koh IHJ; TAHA.M, ; SMAILI.S, ; FERREIRA.R, ; ANDRADE.P, ; GOLDENBERG.S, ; JURKIEWICZ.A,. Evaluation of intestinal mucosa barrier using a pharmacological fuctional approach.. Transplantation Proceedings. v. Transplantation Proceedings, p. 1663-1664, 1994.